When you think about owning a supercar like a Ferrari, a family car isn't typically what comes to mind. Oftentimes, these types of luxury cars belong to guys or gals who like to drive fast and not worry about the baby in the back seat. Now, Ferrari has given drivers the option to do both, with their new GTC4 Lusso. Ferrari's GTC4 Lusso is a refreshed version of the car maker's FF grand touring shooting brake model, which was around from 2011 to 2015. Ferrari's FF was their first model to come anywhere close to resembling a wagon. With their new FTC4 Lusso, Ferrari has given the model a facelift as well as extra power. Improvements to the car's body from the Ferrari Design Center include an updated front grille and new headlights, as well as a new set of rounded tail lights. The GTC4 Lusso seats four and features all-wheel-drive paired with four-wheel-steering. An updated version of the car marker's patented Slip Slide Control System also comes with the Lusso in case you find yourself driving on twisty or snow-covered roads. 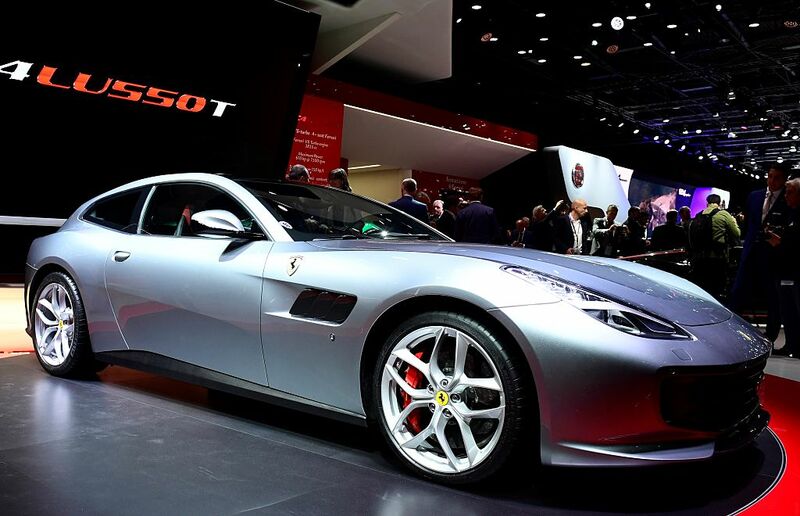 The GTC4 Lusso is powered by a 6.3 liter naturally aspirated V-12 engine and is capable of 680 brake horsepower. This Ferrari has a top speed of 208 miles per hour and can go from 0 to 62 mph in just 3.4 seconds. The family friendly Ferrari also comes with a new steering wheel design and a 10.25 inch HD touchscreen display. While no price has been officially announced just yet for the GTC4 Lusso, its FF predecessor came in right around $300 thousand, so that should give you some indication of what kind of money you will need to come up with. The car is set to make its official debut at the Geneva Motor Show in 2016. Famous athletes like Dwight Howard and Ian Poulter have owned a Ferrari FF, so maybe they will want to get their hands on this updated version, as well. Did Dwight Howard Just Buy a $20 Million House in LA... with a Check? Just six days after officially announcing that he was coming The Lakers, did Dwight Howard just bought a $20 million house in Los Angeles?? ?